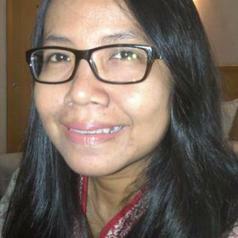 Amalinda Savirani is a lecturer at the Department of Politics and Government, University Gadjah Mada. She graduated from Government Studies Gadjah Mada University (2000, with honors), International School for Humanities and Social Sciences (ISHSS), University of Amsterdam (2004). She obtained her PhD dissertation on the political behavior of business actors on responding to political shift (reformasi) and neoliberal in Pekalongan, Central Java. During 2014 election, she conducted a field research in labor area in Bekasi to understand to what extent patronage politics is practiced among labours who are members of Metal Workers Union (FSPMI). Before that, she was a coordinator of Baseline survey on Indonesian Democracy (2012-2014) in 30 regions held by Fisipol UGM-University of Oslo. This survey is supported by the Norwegian Embassy in Jakarta.